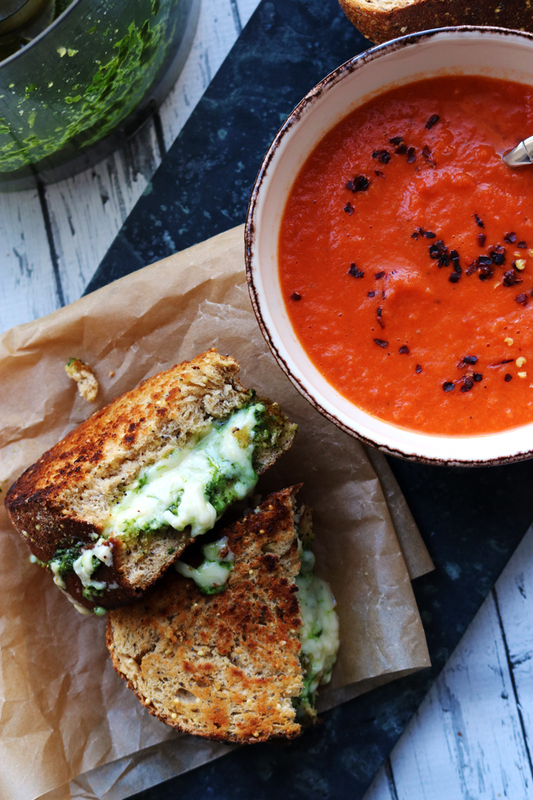 Football food doesn’t have to be all about the meat! These Korean BBQ tofu sliders showcase tofu like you’ve never seen it before – slathered in spicy sweet bbq sauce and sandwiched between layers of kimchi and wasabi greens. No one wants to be the hangry vegetarian at the meat-covered football food table. And no one wants to be the host of the hangry vegetarian who is hovering over the meat-covered football food table harboring the anger of five thousand very hungry suns. But if there’s one thing I’ve learned about situations like these, it’s that there’s always a silver lining. And today that silver lining is that we are going to tofu like we have never tofu-ed before! It’s gonna be kind of awesome. If I’ve learned anything in my many years of cooking foods that other people tend to run away screaming from, it’s that you have to present it to them with flavors and textures that they already know and love. In this case, tofu is getting the shallow fried treatment so that it gets all nice and crispy on the outside right before it is smothered with not one, but two layers of Korean BBQ sauce. Go big or go home, as they say in Texas (AKA football-capital-of-the-world). 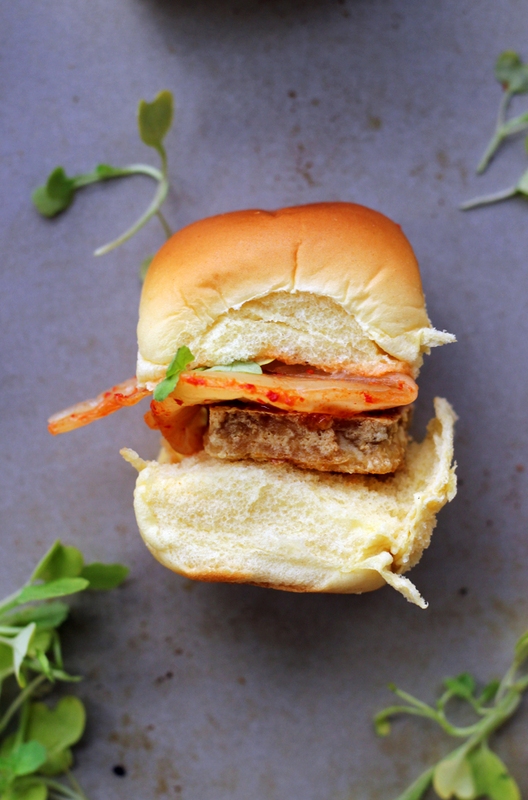 Then it is sandwiched into a slider bun along with a garnish of crunchy tangy spicy kimchi and a sprig of micro wasabi for all sorts of intense flavor and a dose of good measure. Just try to keep the hordes of hungry football fans away from these babies. But make sure you also set aside a few (dozen) for yourself before you let these loose on the masses. Those games are long and we need all the fuel we can get if we’re going to be fake-cheering along with the rest of ’em. 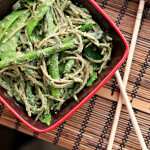 For the recipe, head on over to Nasoya’s website! 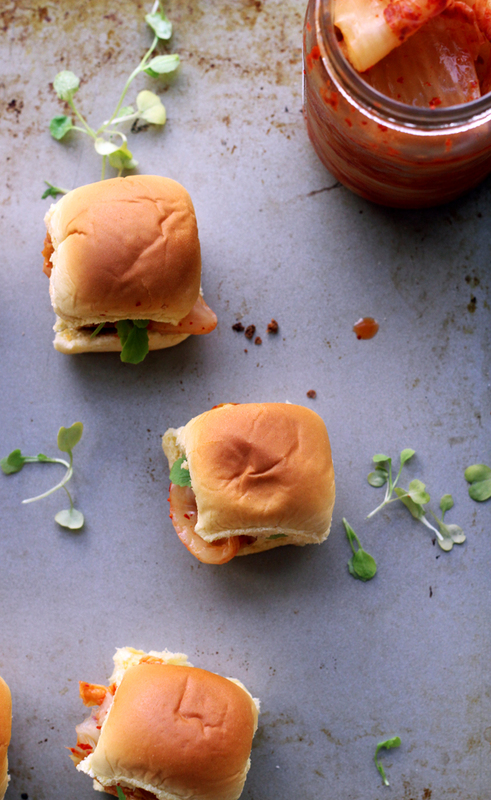 I’ve only eaten tofu a handful of times in my life, and I’m still up in the air about it…but I think these cute little sliders might change my mind! I’m loving the flavors you have going on here. They look GREAT! Love that bbq sauce. This is a great idea! Everyone can share in game day food! I love tofu but for whatever reasons, I’ve always only used it in stir-frys. I want to try shallow frying and adding these glazes and flavorings. Must remember! Thanks for the inspiration! You know what the world needs? More vegetarian sliders. Thanks for doing your part. These look great! 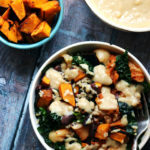 Man food made into vegetarian- loves it! 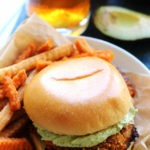 Joanne, I don’t make tofu nearly as much as I would like but these sliders are making me DROOL! Love the Korean flavors here (and not just because I’m biased :). Talk about perfect game day food! Great flavors and textures in a soft roll? SOLD! Dude, you rock my world. No seriously–I think you might have revolutionized the world of tailgating for vegetarians everywhere. 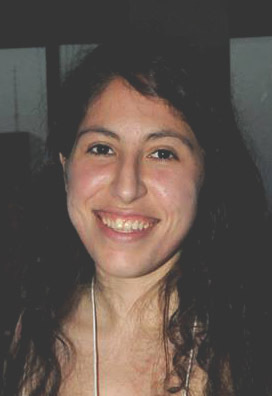 Oh and can I gush about your writing for a minute? So glad we found one another because seriouslyyy, girl–I’m in love! Happy Tuesday! teehee, I would gladly gobble these up! I have honestly never had tofu before… it’s one of those foods that has always intimidated/frightened me. I do love a good slider, though, and maybe it’s time to branch out and try something new! 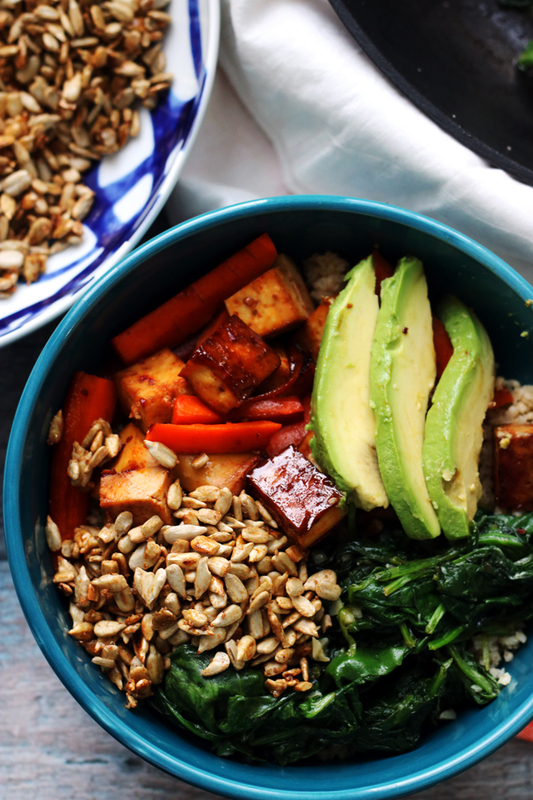 Tofu can be so hit or miss but this looks like a straight up HIT! Tofu has never looked so GOOD! I’ve gotta try this recipe!!! You know what the problem is with these? They’re so good, that all the meat-eaters will gobble them up instead of their own food, and then nothing will be left for you! Wow, these sound incredible. No hangry vegetarians around them I’m sure! These look delicious! I’ll confess to never having had tofu, so I can’t claim not to like it. I would totally try these! 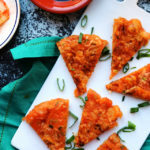 I adore Korean food – I might just have to try these! 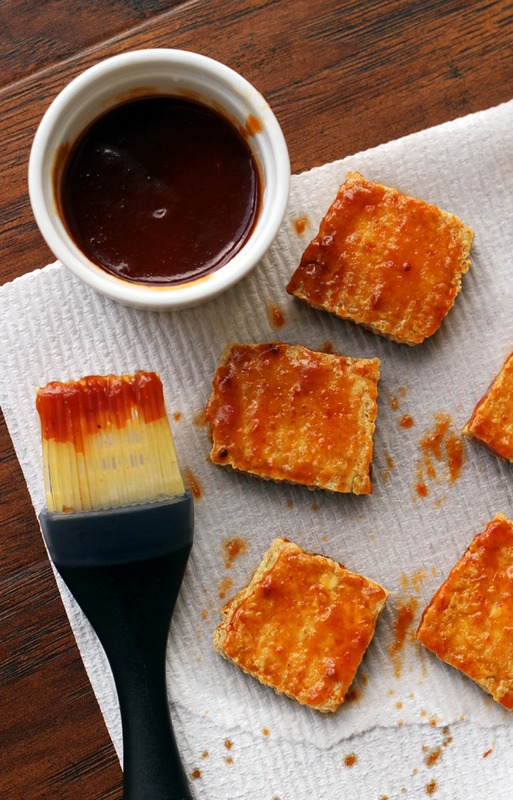 I’ve never had BBQ tofu but I’d love to try it! I can’t think if I’ve ever had a tofu sandwich before, but I made baked barbecue tofu the other week for dinner, and this would be a really good way to eat them also! 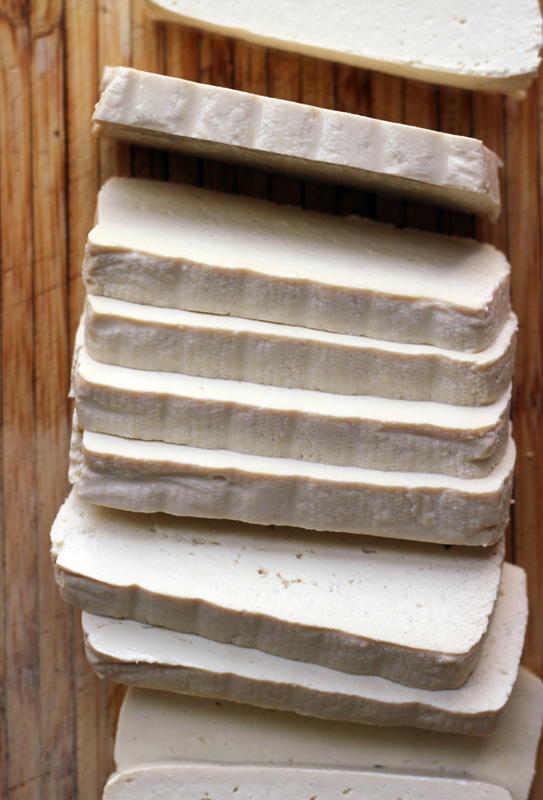 Not even kidding – I just bought my first batch of tofu! Can’t wait to cook some up! What a creative and wonderful example for something yummy for football that isn’t just more meat and cheese. Delicious. Love the sound of these! So creative! I”m such a newbie kimchi freak. Whoa. I am loving the sound of this! I remember being the hangry vegetarian at those social gatherings.. maybe that’s why I started eating meat again. Bad reason, I know. Maybe it would have turned out differently if I had only seen these..
What about those of us who run screaming from football, but go directly toward the tofu? 🙂 I bet these guys are delicious, especially with that beautiful kimchi topping! Hi Joanne, love these little sliders, I bet if you didn’t say anything, no one would notice it’s tofu. Great idea! 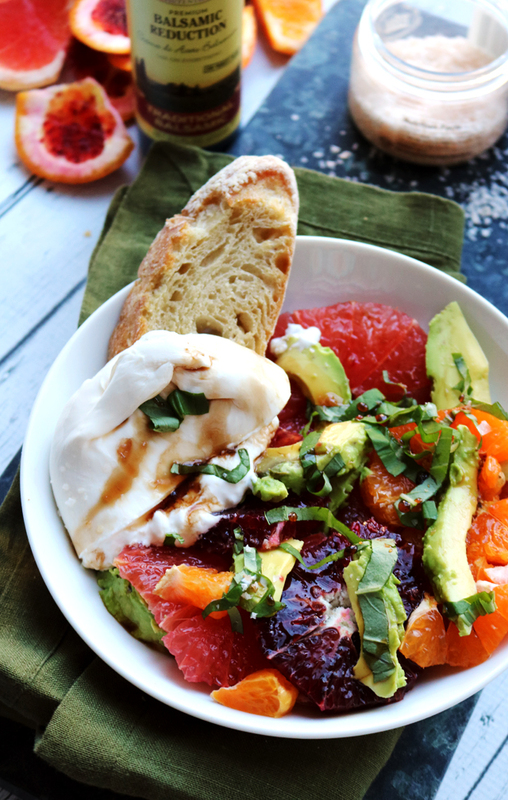 Oh girl, these are all kinds of amazing! Tofu, kimchi, korean bbq in sliders??? Heck yes – love these cuties and they would be so perfect for game day! 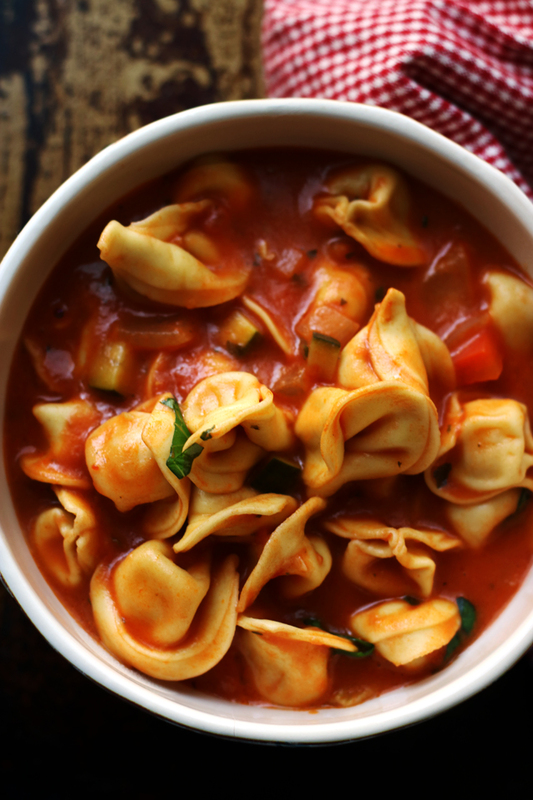 These look wonderful, perfect for the big game. My son is a big fan of tofu! He would love these burgers! 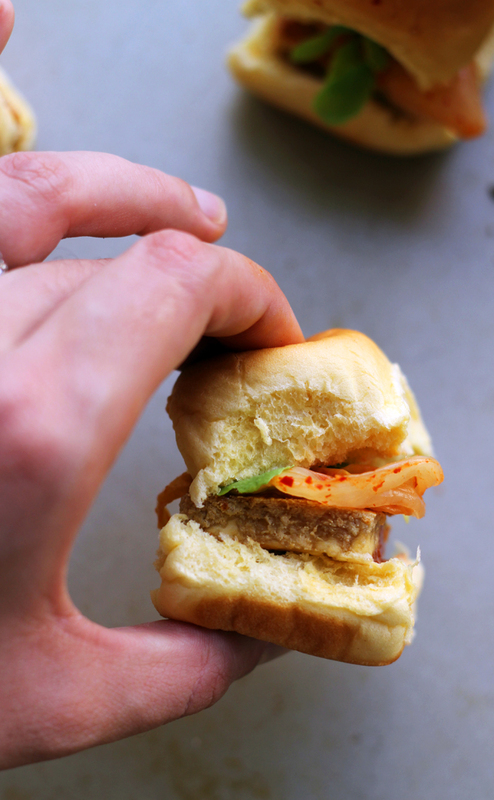 I love tofu and I love korean food <– esp that there is kimchi AND bbq all in one slider. These look amazing! 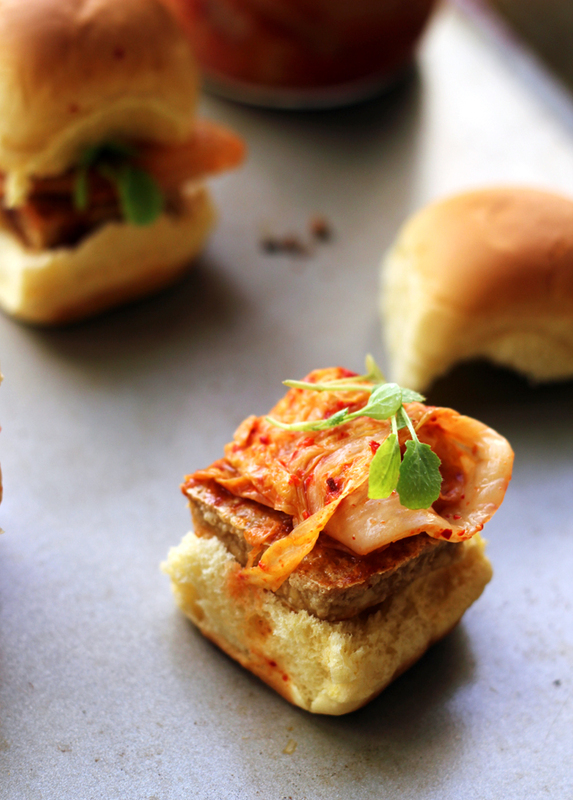 I’m all in when it comes to anything with tofu and kimchi. . love these sliders. . going to check out the recipe now!! These look good enough to convert me to liking football…which is to say, pretty amazingly good. These little bites are brilliant! What a great combination. The football crowd is a tough sell, but I have no doubt these could win quite a few over. OH yes! Kimchi and tofu..that was basically my diet growing up in Korea ;). Pinned!! Bite-sized sandwiches AND tofu AND Korean goodness? You’re speaking my love language here!